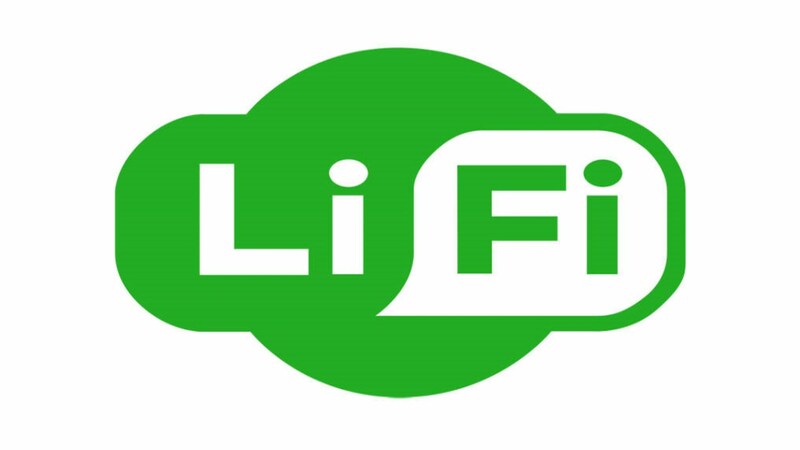 The LIFI an alternative to WiFi ? First of all, clarify the terms, the LIFI offer two classes of application : GEOLOCALISATION ou INTERNET. The first is simply a hardware perspective : the light source is equipped with a "tag" factory programmed light that repeat endlessly all his life. Any device located in the cone of light will receive this tag and will be located : simple and very accurate, it is from within GPS ! It is easily deployed in any environment where this lighting .... That is to say, everywhere. Of course, Mapping places and the exact knowledge of the position of each of the lamps is a prerequisite. Furthermore, simply substitute about 10 at 20% light sources to have a geolocation infrastructure. The intelligence of the system is the central level and in the previously loaded application in the smartphone ; decoding the tag light being provided by the camera. For what service ? The ideas are many : guiding people in a public place, contextualization of an information flow in a store (coupon, alerts, …), looking for rare products in a supermarket, find his car in a parking, ... The RATP has implemented since 2016 This geolocation system LIFI experimentally in the resort of La Defense, while the entire Paris subway is already lit with LED. The LIFI geolocation is now ready ; that is to say, Proven in numerous pilot sites (supermarket, public hall, …) and integrated into commercialized fixtures. More, quoiqu'intéressante the geolocation is not the Holy Grail referred : the Internet, this is the coveted treasure, complement in the first instance, then WiFi rival. The ambition is beautiful. But what about today ? The good news first : technology out of labs and venture into the pilot sites, sign that the interest is there. So, in France, SOGEPROM, Nexity, the maternity hospital Perpignan, ... are all equipped with some meeting rooms in a building of the internet LIFI. External Sites trying experience as the town of Massy. This is internet access full duplex with light. Technologists withdraw teachings and improving track, trade are making their first listings and prepare their showcase of innovative solutions, operators are considering new services and usage patterns. Short, the beginnings of a promising new technology. Imagine ... loading a film 1 minute, a signal that your neighbors can not "listen", a free space wave we ignore the reality of their harmfulness. First of all, give honour where honour is due : The quality of service provided by the WiFi is already good. The WIFI is already widely, implants every day and improves robustness, speed, security, … (eg. 802.11ac – Wave 2 that expands the bandwidth, increases throughput and increases the number of users (MU-MIMO)). Its integration across mobile devices (PC, Tablet, smartphone) actually the complement mobility solution networks 3 / 4G. WIFI is THE universal standard today. WIFI efficiently and elegantly replaces the wired (Ethernet / RJ45) that our desks and relieves 3G / 4G. It has become so universal that when you book your vacation rental, you just check if it has WIFI ... and YES ! A second cause is the ignorance of all the players and inertia at startup : elevator, from actors lighting, is still widely misunderstood by those of IT and telecom networks. Or, it is these field workers who distribute, install and manage these local networks. This value chain does rubs that by far lighting. – Lack of standardization to ensure interoperability of equipment. The industry players are aware. Converging ideas and establish a standard under the auspices of the IEEE is a recognized need. Since July 2017, the "interest group" has submitted its recommendation to start a "study group". The 802.11 SG LC has started its work in autumn 2017. If the steps in the normalization proceed normally, a standard is expected by 2019/2020 and pave the way for deployments soon 2021. The good news is that this study group includes actors from different backgrounds including the lighting and the networks. It will be interesting to observe these 2 Worlds talk ! More, This is an other story ! – The lack of integration in mobile equipment and the necessary use of a "dongle" to receive and transmit the internet signal LIFI. This is a real concern. However, the "dongle" was the precursor step for the integration of many technologies including WIFI. – The absence of a range of luminaires : the world of lighting is such that manufacturers are numerous and very broad product ranges. The ubiquity of lighting in all places where the man lives or works is the price. Aesthetic and mechanical, power, quality light, price, standards, ... are parameters that multiply the references and make a lighting catalog sometimes resembles a directory. But today, equipped the Internet LIFI lighting products can be counted on the fingers of one hand sticking their adoption of a series of pilot sites. – The cost and overhead !!! the cost of the implementation of all : INTERNET LIFI fixtures must be connected to the network via an Ethernet cable. It is therefore expected an installation invoice. On the other hand, the hardware overhead (the dongle and the luminaire) today represents an obvious obstacle to deployment. But since the lighting industry has entered the era of the LED and thus electronics, no doubt curve equipment prices will reproduce those that followed many sectors fell into the field of electronics ! So, Yes, the LIFI will be in 2 or 3 years a serious option to complete the WIFI in sensitive environments and relief to areas saturated with radio waves. The train is on the platform and prepares to leave : Connected light creates the conditions for the convergence of light and networks. This technological convergence announces a different convergence : the actors associated with each of the worlds. But this, This is an other story !